Rock Band 4 is awesome. It’s everything that I wanted from the return of my favorite music game. It’s the core features of what made Rock Band great, honed and updated to current-gen standards. In fact, my only gripes are super minimal. I wish that they carried over All Instruments Mode, that way I could see the vocal line while playing Guitar. And I would have loved a way to just import my whole DLC library in one fell swoop, but it looks like that’s a technical impossibility; as well as make sure that all owned DLC is clearly noted (currently there’s a weird glitch where owned songs are shown as not owned, but still can be installed for free). Beyond that, Rock Band 4 is exactly what I wanted it to be. With rhythm games like this, there are two things that are the determining factor in whether they’ll be great or just okay. First is the note recognition. In the hours I played yesterday, I didn’t notice any sort of note dropping on my new Stratocaster guitar controller. In the past, I clung to my Gibson Explorer controller from Guitar Hero 2. I don’t need that anymore – I have a wireless guitar that works, and works great. Even with tremolo picking sections, the strum bar kept up and I didn’t see any misses that were because of hardware. That’s a good thing and I actually think upgrading instrument controllers isn’t a terrible idea. The other super important part is the actual set-list. If the songs are stinkers, what’s the point of playing them? Luckily, Harmonix has a great ear for picking both huge hits, and deep cuts. I played through the first few tours in career mode, so the easier tier songs and found a couple songs I’ve never heard that I immediately wanted to go buy; while also playing some songs that are in regular rotation on my iPod. That’s perhaps the most important thing that a game like this can do. Just like a Let’s Play can show you a game you might never have seen before, rhythm games like this can teach you all kinds of awesome new music. You just have to take the plunge and play them. In addition to playing a few career shows, I had to try playing one of the harder songs in Quickplay mode, if for no reason other than to test my skills to make sure I haven’t gotten too rusty. I went with “Hail to the King” by Avenged Sevenfold – it’s marked as a “Devil Tier” song on Guitar and I actually think it’s one of the easier A7X songs. The charting on it made me really happy though – it’s a good split between playing the lead lick and the rhythm guitar line, with the solo feeling really well charted. If future DLC keeps that in mind, I think I’ll be putting plenty more money into the Music Store. One new feature on guitars that’s worth mentioning is the Freestyle Solo. It lets you put in your own little touches through pre-programmed solo licks that you play during the guitar solos. It seems kinda weird at first, but it actually works really well – you have a little bit of leeway with note streaks when you’re hopping between low and high frets, and even if you decide to just ignore their prompts and go wild, you’ll only count as missing one note, not failing out. My biggest issue with them is just that I’m not used to them – sometimes they’ll have you end on the high frets and I lose my fingers when the chart begins again. That’s something that will come with play though. All in all, Rock Band 4 is absolutely a return to form for the series. With Guitar Hero Live coming soon too, I do think that we might see a resurgence with the rhythm games. 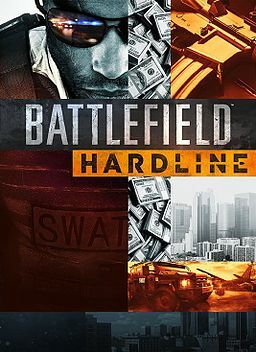 They’ve always been a great party game, and the current-gen consoles were missing something like this. If you like music games, or really if you like finding new music in general, I think this is a definite purchase. Busy week in news this week, on all points on the spectrum; from good to weird to exciting. Let’s dive in. I went with a whole article on this earlier on in the week, mainly because I still can’t wrap my head around the logic here. Konami, one of the longest gaming developing houses, is all but stopping console development. The future is super uncertain as to the details with how this will impact classic franchises, but it really looks more like they’ll be more inclined to appear on mobile platforms. It’s a cost-saving move, but at the same time it feels like it could be a risky venture, potentially alienating fans. We’ll see how this ends. This week Microsoft announced their schedule for E3 week. On June 15, at 9:30 am PDT they’ll hold their press conference. If it’s anything like last year’s conference, I expect we’ll see a ton of games, including a couple heavy hitters, like the Gears of War leak from this week. They also announced a fan event on the 14th of June, for 500 fans in the LA area. E3 is starting to shape up, which is always an exciting part of the gaming year. This year could be a pretty intense show – I really think we’re going to see a lot of news and big reveals this year. It’s going to be fun. 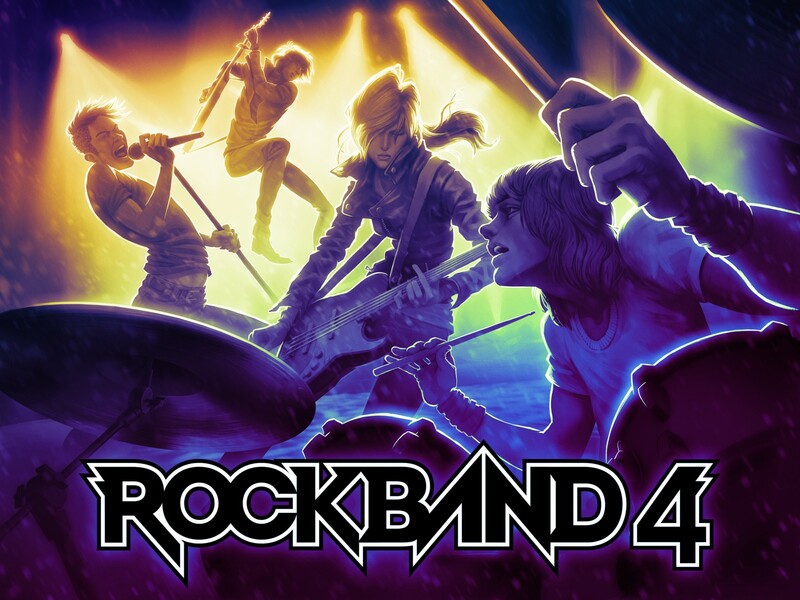 Today at 3pm EDT Harmonix will show off the first gameplay footage of Rock Band 4 over on IGN. In advance of that show, they’ve announced the first six songs of the setlist. The first six hit some pretty varied genres – modern metal with Avenged Sevenfold’s “Hail to the King” (which should be a lot of fun to play), classic rock with Fleetwood Mac’s “You Make Loving Fun” and The Who’s “The Seeker,” and good ol’ 90’s rock with Spin Doctors “Little Miss Can’t Be Wrong.” It’s a good mix, especially adding in the other two songs – The Killers’ “Somebody Told Me” and Jack White’s “Lazaretto” – which has me thinking that the whole setlist is going to be a winner. 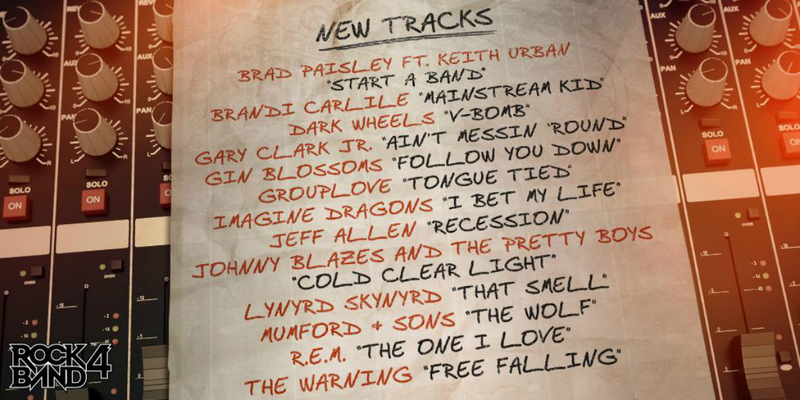 Guitar Hero Live also shared a couple songs from their list, and with the exception of Skrillex, I think they also have a good start. It’s a good year for music games again.